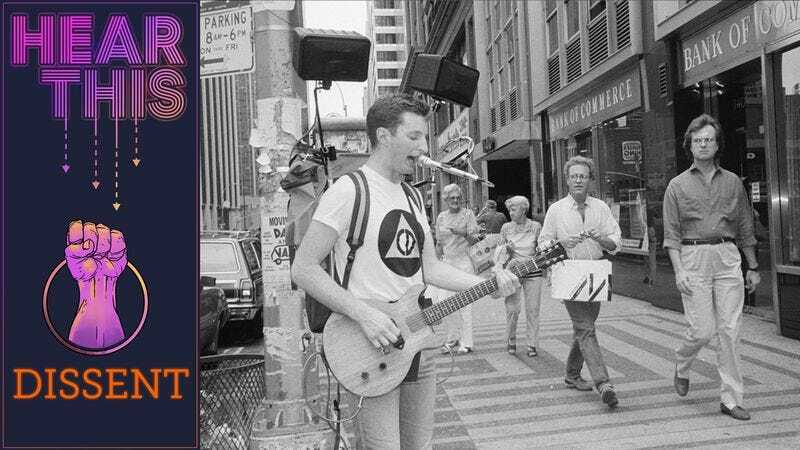 In his seven-song debut, Life’s A Riot With Spy Vs. Spy, young Billy Bragg went past punk into minimalism, all the way back around to Woody Guthrie’s sincerity and politicism. Accompanied only by his own electric-guitar rantings, Bragg clearly wore his heart on his guitar sleeve. He showed off his penchant as a young romantic on “The Milkman Of Human Kindness” (“I will leave an extra pint”) and “A New England” (“I can’t survive on what you send / Every time you need a friend”). But like The Clash before him, Bragg was also verbose about painting a bleak picture of his life in the lower-class trenches of the U.K. In “To Have And To Have Not,” Bragg lyrically lays out the no-win situation faced by young British adults like himself at the time: “At 21 you’re on top of the scrap heap / At 16 you were top of your class.” Diplomas are now just “pieces of paper,” offering no opportunities for young people like himself: “The factories are closing and the army’s full / I don’t know what I’m going to do.” The lone siren of Bragg’s guitar highlights the singer’s isolation, as do his clearly anguished vocals. Often, vocalists lose their accents when they sing. But Bragg’s accent is so pronounced, almost Cockney, there’s no denying it, adding an air of validation to his tales about the plight of his country. Unfortunately, 30 years later—as we see great chasms within the populations of both the U.K. and the U.S.—Bragg’s lyrics still resonate: “Just because you’re better than me / Doesn’t mean I’m lazy / Just because you’re going forwards / Doesn’t mean I’m going backwards.” Fortunately Bragg is still around, having moved on to collaborations with like-minded outfits like Wilco on the excellent Mermaid Avenue releases. More recently, he’s appeared with Joe Henry, and made a stop on a recent Riot Fest tour. So Bragg, no doubt, will soon supply his own soundtrack to the current resistance movement, and we need him more than ever. But aspiring troubadours would do well to give a listen to Bragg’s early efforts if they want to follow in his protest footsteps. All you need is a fire in your heart—and a guitar.